Not all of the weddings and vows renewals we officiate are on mountains or in the forest. Some, like today’s, was miles from the wilds. Here’s a recap of day’s event officiated by Redline Guide, owner, and NH Justice of the Peace, Mike Cherim. It’s wedding season, that’s for sure, and today (September 16th, 2017) saw another union of a young, loving couple: Allison and Dan. 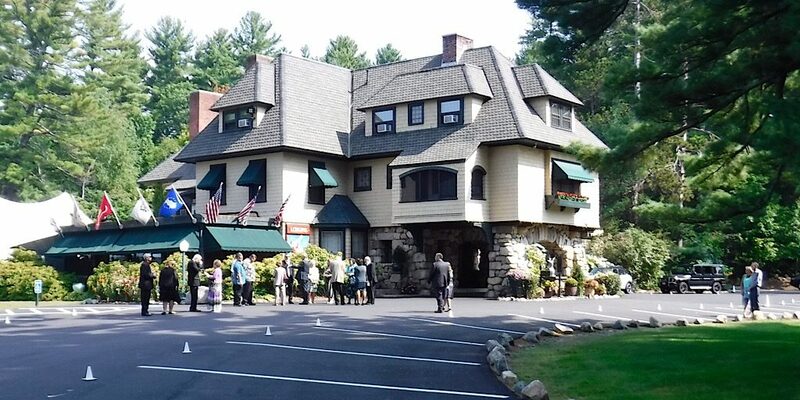 This was a private ceremony held at Stonehurst Manor in North Conway, NH, hence no photos aside from the one you see below. You see, when folks register a wedding with us, or book a course or adventure, we include a model release allowing folks the ability to control their exposure and better manage their privacy. Stonehurst Manor… what an excellent wedding venue! We want to say to Allison and Dan, thank you for allowing us to officiate your wedding and play such an important part of your special day. You both looked stunning, your whole party in fact, looked awesome. It was a fantastic service.